But that is the continued arguments I keep hearing, and I can’t wrap my head around why you would use it? If it’s happening at all, why is there a problem with awareness and putting an end to another humans suffering, exploitation, death? What exactly is wrong with that? Not every bust has to do with humans suffering, exploitation, death. Sometimes it is just people being transported accross the border and when every instance is spun one way it becomes propaganda. As for the rest of your post, I don't see apples and oranges but I don't care. I'm not a leftist and I see hypocrisy on both sides. Along with dropping the labels and finding humanity you might find that the fairytale Q has sprung is just as fake as the one offered by the MSM. Police have been gong in and out of the embassy for 2 days also. The first day some plain cloths people went in with what looked like empty suitcases. Now that the Mueller report is (mostly) concluded, it's time for Q to be proven or disproven. Qanon can't go on forever without clear and direct action. I been on the fence about Mueller for several months but Q3312 made me go back and re-read. We know Mueller is in deep $h1t with Uranium One. W-leaks revealed It was Mueller who delivered the Uranium to the Russians under the guise he was returning a sample found in the Georgia territory. Recall that long post just before Q went silent for 3 weeks? 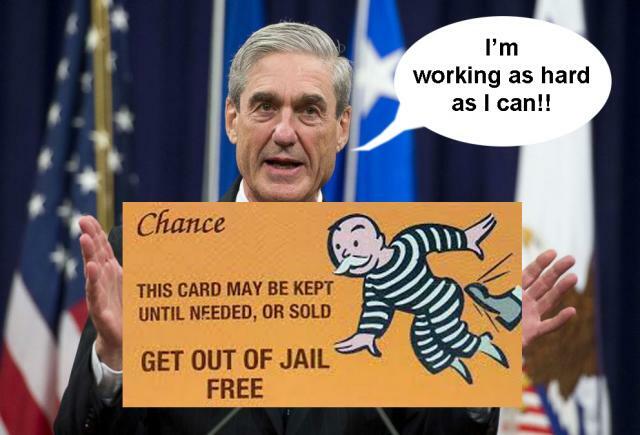 Mueller = Traitor Just changed from Neutral yesterday or day before, I believe? Bill Binney (former NSA) on the Arrest of Julian Assange and his thoughts on Mueller. Your excuses are a perfect example of "sticking their fingers in their ears, going na na na I can’t hear you". "Wins" are non sequitur fallacies that allow you to keep the faith. People flip flop from "Q doing it" and "dropping MOABs" to "Q isn't in a position to take action" depending on which way the wind is blowing. If you stand back you will see that Q is just spitballing like everyone else. 90,418 Sealed. No way I'm going to attempt confirming if that number is true or not but someone does keep it updated. O yea i know that. I was trying to say that the end of the muellor investigations leads an open space for Q to start the arrests and/or leaks. Democrats can't say Q is being used as a distraction from the ueller investigation then.